Get a free Off! 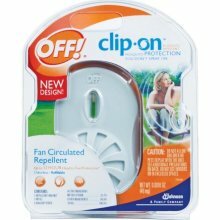 Clip-On Mosquito Repellent Refill with the purchase of one Off! Clip-On Mosquito Repellent Starter. (Up to a $6 value) Fill out the form, and submit. Then a page will show up that tells you how to print your coupon.